I hope that the release of Ravnica and subsequent tournaments have been enjoyable for everyone. PCG had a decent sized team tournament that I think bodes well for some of the great announcements that we saw this week. In somewhat good news we know when the SCG and MtG events will be. Now we get to look at how attendance of them will be shaped by region. We also get to look at the new ways that invites will be handled. There will be a lot in here that references what I wrote (but was never published) last week. So, make sure to check that out before getting to far into this. I can’t help but wonder just how much my musings will help anyone out; it has been enlightening to me to understand more about the way I think and to help focus on changes and outcomes. Let’s start with something a little bit older. As you may or may not be aware I am preparing for Eternal Weekend. Here is what I would really like to play. This is a deck called 2 Card Monte. It is one of the fastest combos in the format. It has the consistency to be able to play combo pieces on turn one and usually activate. When playing first or not worrying about taxing effects it has a very good game against both dredge and shops. It is also decent against storm decks because of how fast it can be. It is weak to big blue type strategies (anyone that has a high density of Force of Will, Mana Drain, and other disruption makes it significantly harder. This also has a decent time against Oath of Druids strategies, but as they are a big blue hybrid there are difficult matches. The deck is very fragile to Null Rod, which is another consideration. With Leovold, Emissary of Trest midrange control decks and Survival being up and coming players in the meta I know that I should probably play something like the following list. This is the deck that Brobots (Steel Stompy) is based on. It plays an even stronger prison game because of having so many ways to get a turn one Trinisphere in play (this shuts down moxen and pretty much all other fast mana). The ability to stop half or more of an opponent’s mana sources makes this aggro-prison strategy the most played and oppressive strategies in the format. You will probably notice all of the one of cards (Chalies, Lodestone, Trinnisphere, Thorn of Amethyst,…) There have been days when this strategy was more of a prison (reflected by STAX lists). In fact a large Vintage tournament in the northeast is named after it (NYSE: New York Stax Exchange). Your input is welcome on what I should do (follow my heart or follow my head). Regardless I will keep you all informed on the decision I make and the tournament outcomes. We talked about my new build of food chain a little last week. It is a strategy that incorporates Living Wish and Shardless Agent to build up a very strong midrange game with powerful finishers that I won’t find until I need them in the game. This has meant that some of the one turn wins have become quite a bit harder, but it also means that I rarely have non-games. I have noticed that I can’t get anything in a MTGO league except the record of 3-2, even after switching it up some to the following list. First, let’s talk a little bit about naming conventions. I mentioned in the discord (https://discord.gg/VY8yz2Y) that I now have Chinese Food Chains in the deck, this let to some fun conversation on what to call the deck. It has gone by many names (Democratic Republic of Griffin, Flying Circus, Food Griffin, Food Chain, KFC…) but the newest 2 are some of my favorite: PF Chains and Panda Express. I tend to prefer PF Chains, but will respond if you call it either. This is closely related to the last list that I showed, but there are some changes in the sideboard (-1 Jace, the Mind Sculptor, -1 Faerie Macabre, +2 Collective Brutality) to address the higher number of fair strategies I have been playing against. In the narrow testing that I have completed with this list I haven’t seen a drastic improvement and have yet to find a list that I think will be a knockout for EW. I may just resort to Omnitell or Sneak and Show for that tournament. Once again, I am kind of in a wait and see mentality. Once something sticks out to me I will go with that. We had our first experience with the new Ravnica in all constructed formats this weekend. The team constructed Heroes’ League Qualifier was the only one I was able to watch. That turned out to be quite nice as I was able to see a lot of new strategies in Standard, but also the emergence of older strategies that now have role player cards. With 7 teams (21 players) it was the largest competitive event in the state. The finals were between Team Zero Sum (Kye, Vivi, and Cameron) and Wallet-Folsom-Berman. 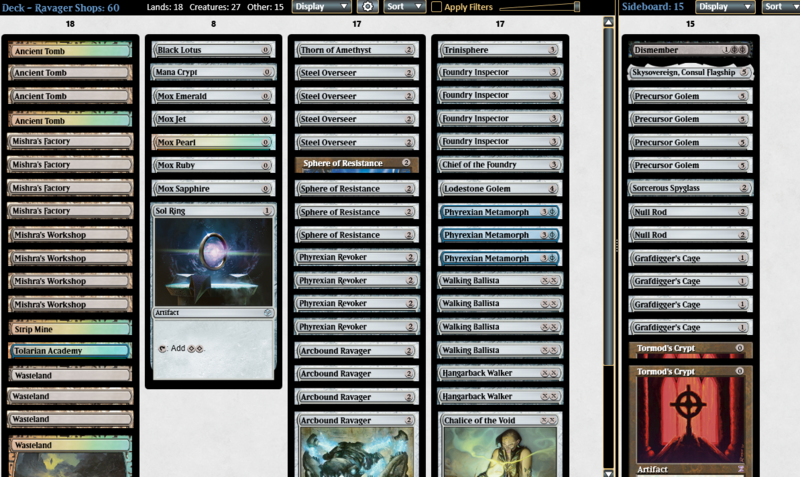 The unnamed team took it down with Boros in standard, Jund in modern, and Lands in legacy. Both teams were already qualified, so they played for prizes and bragging rights. The 3rd place team got the invite to the championship which is a team anchored by Calvin in Legacy. That tournament should be an interesting event and I hope that it is enjoyed by all the teams invited. The biggest thing to note is that Jund with Assassin’s Trophy is the business, it helps to streamline the removal package and improve Dark Confidant in the deck. It can now go late with everyone and pressure planeswalkers where it was missing a lot of that before. We have another Heroes’ League Qualifier at the end of the month (the format is modern), this is the second to last one. The final one will be on 12/1 and will be legacy. I am very excited for both! I hope to see you there and will likely miss you over my birthday weekend as I am heading back to Taiwan a little earlier than previously planned. Between now and then keep responding and let me know what you think about these musings. Also, if you have any questions, comments or concerns about the store or events reach out to me. It has been a long road making it this far with each of you, and we hope to continue to have a great and long road forward. I am glad that we have such a great local and online community (most of the time).